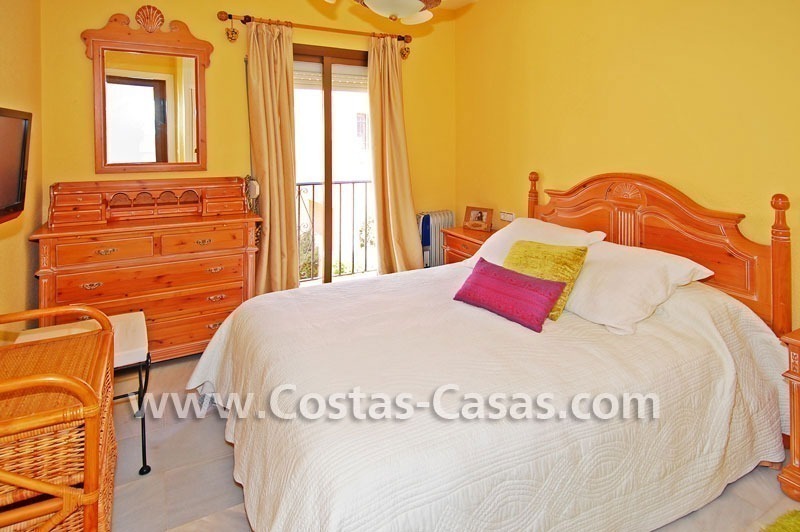 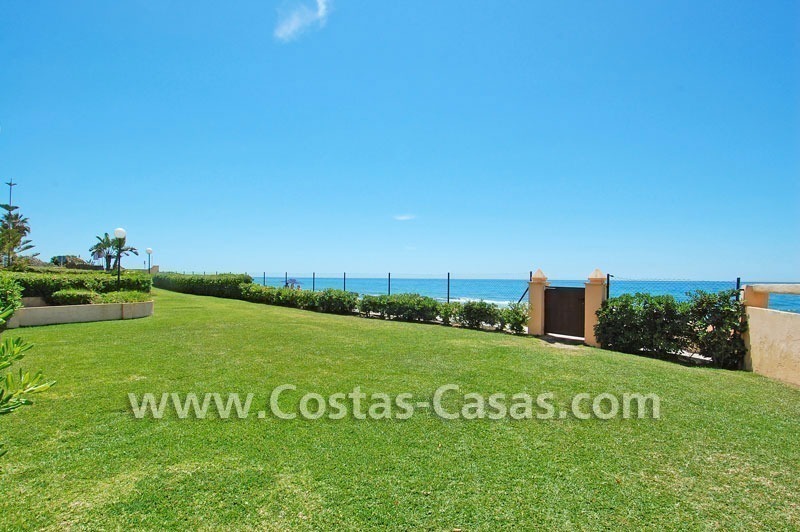 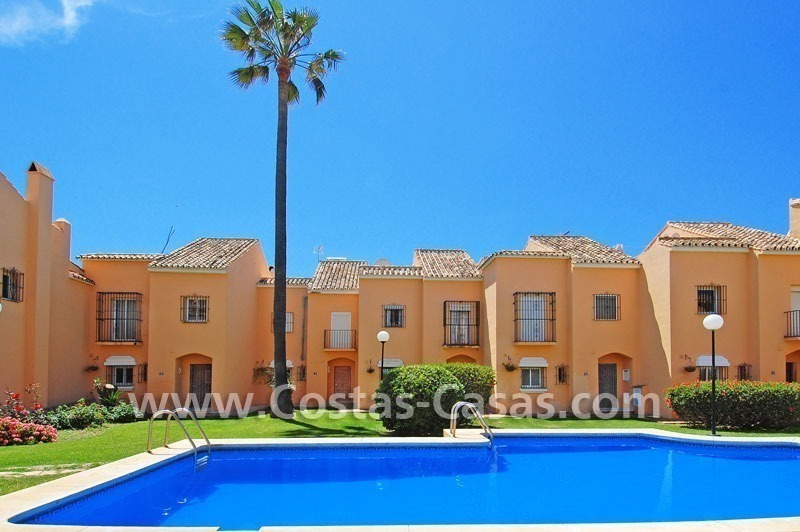 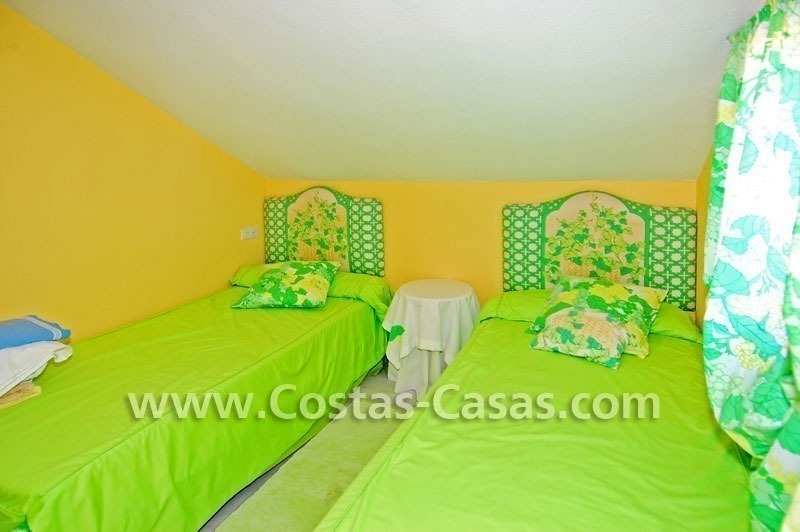 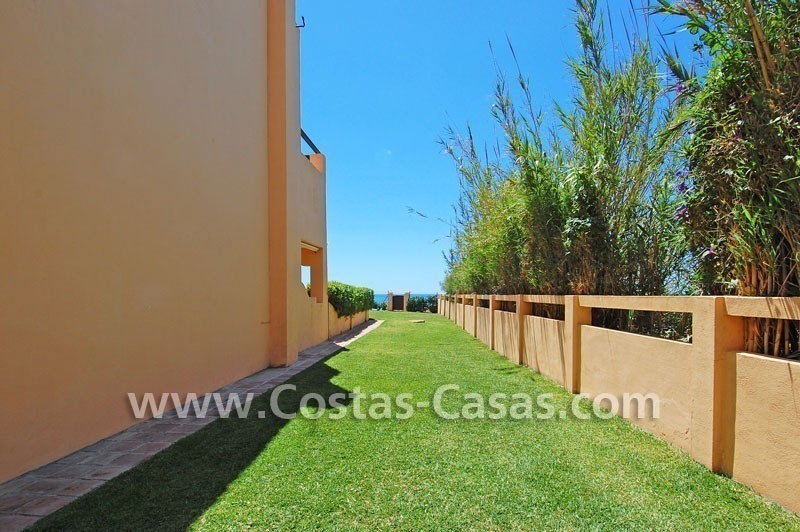 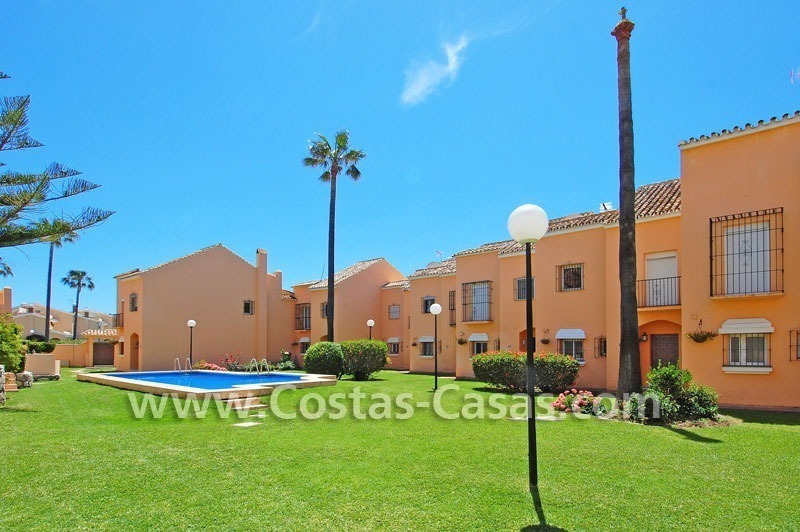 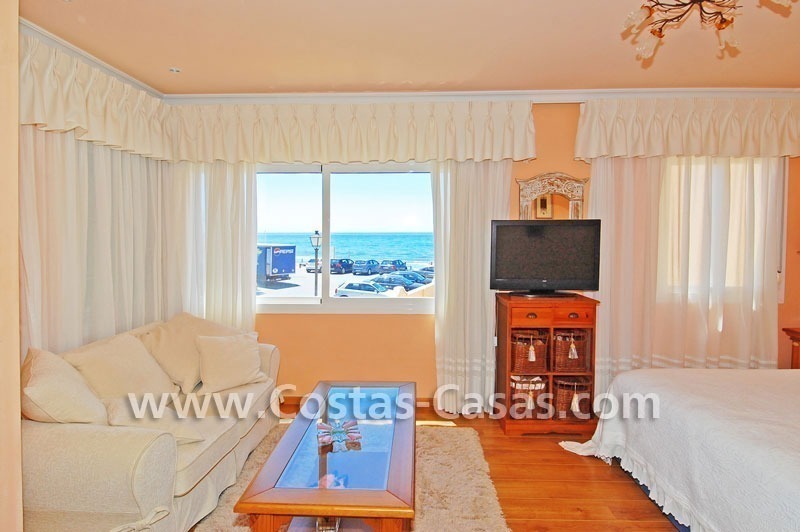 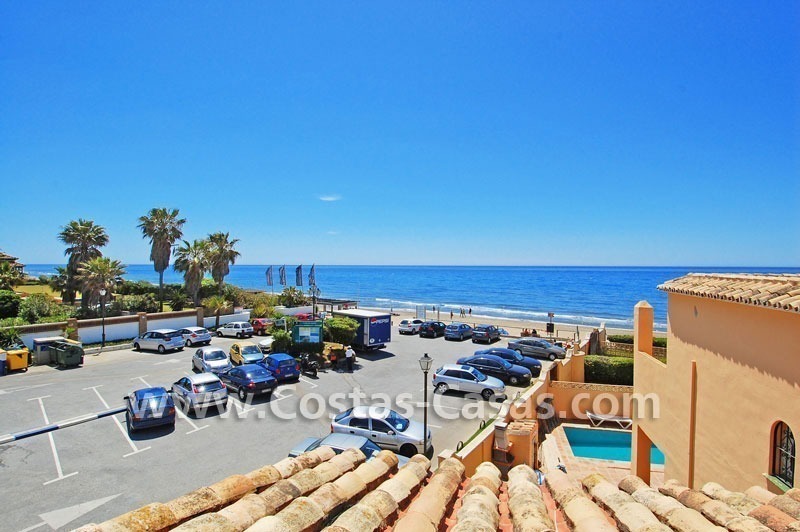 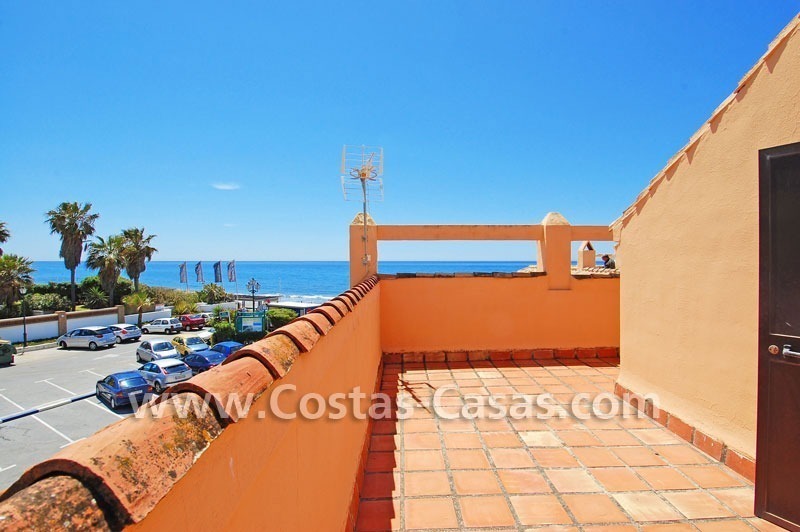 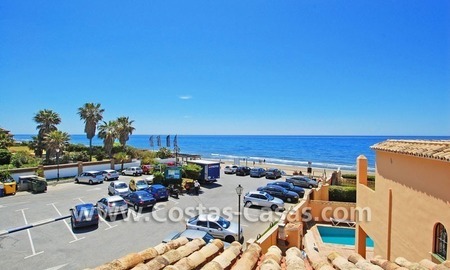 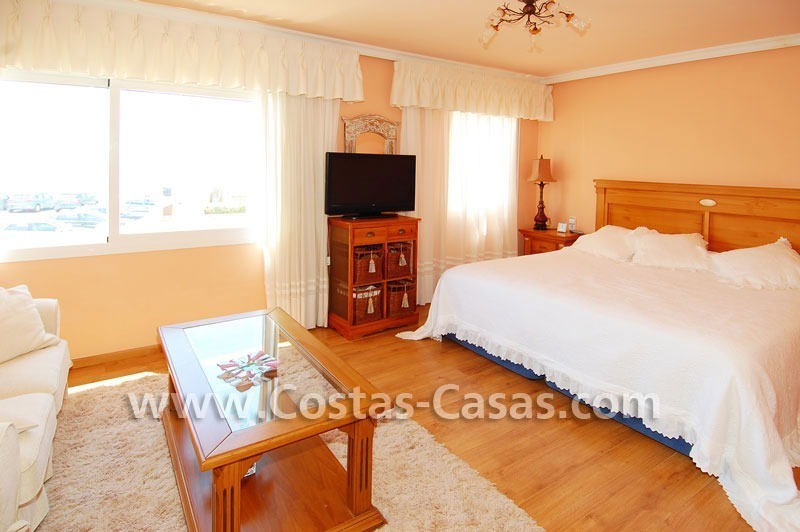 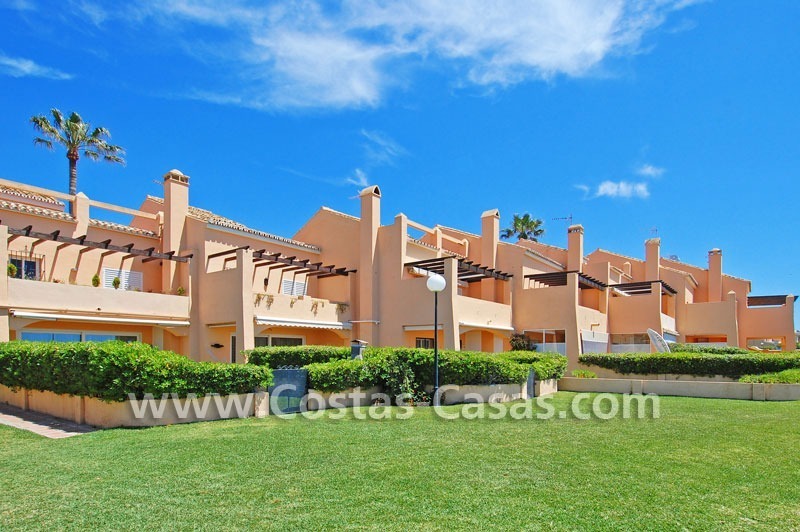 Located in an enclosed first line beach townhouse complex at easy walking distance to one the best beaches of Marbella. 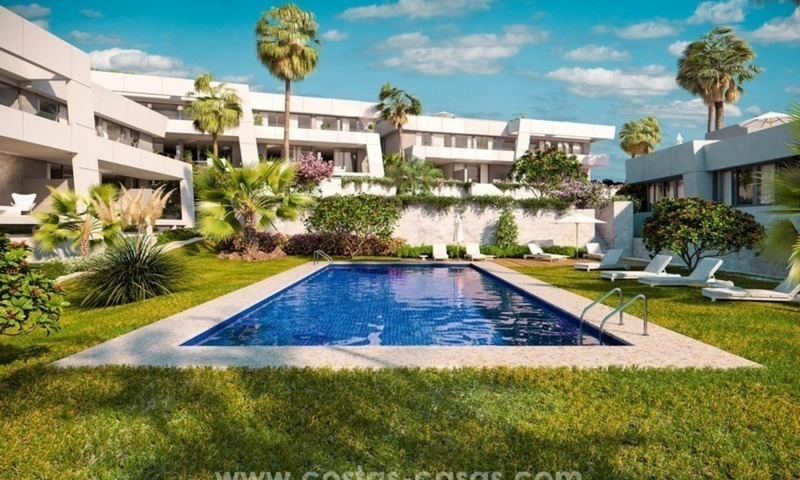 Secure popular 24 hours security urbanization, at walking distance to supermarket and international school and nearby main golf courses, beach bars and amenities in the area. 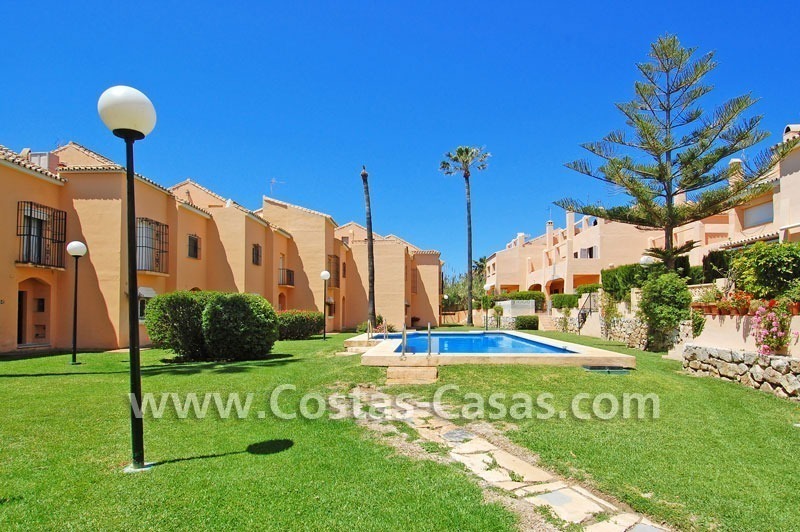 Huge garden area and communal pool with direct exit to the beach. 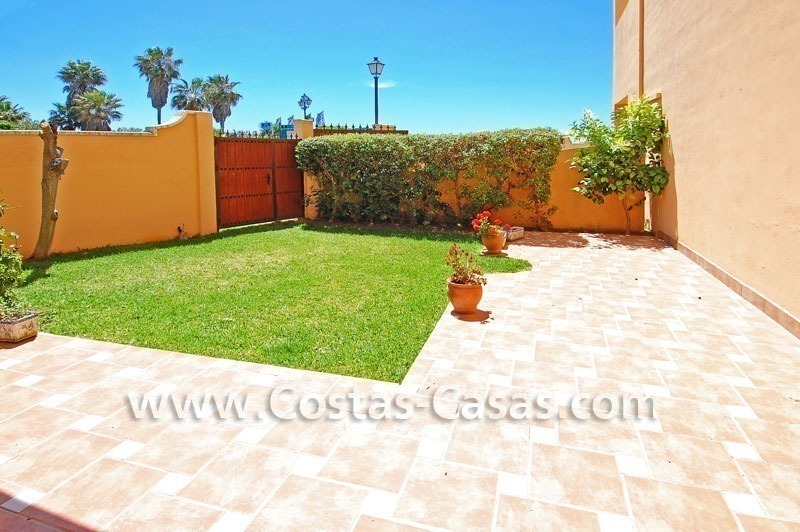 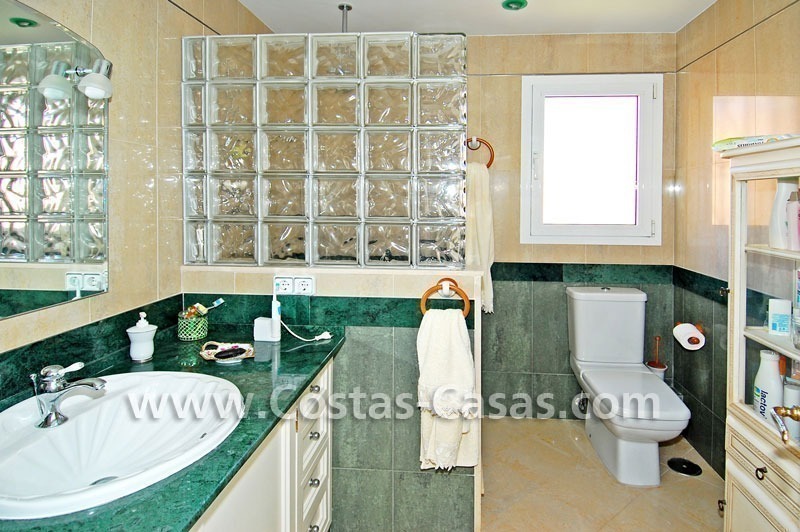 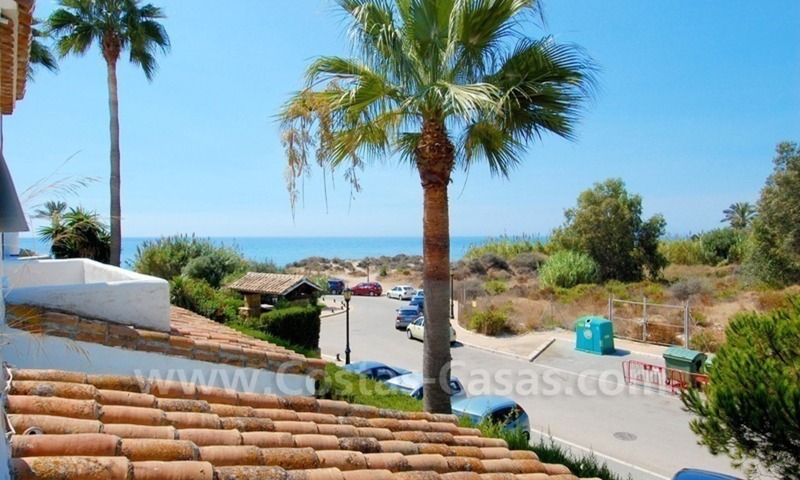 Front line beach Andalusian styled townhouse for sale in Eastern Marbella. Good views to the private garden and to the sea. 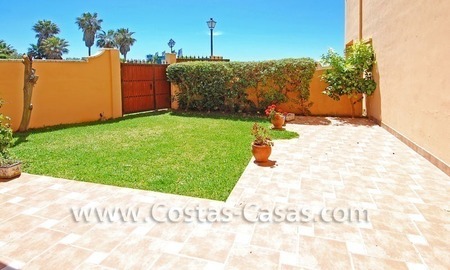 Accommodation 160 m2 plus 90 m2 of private garden. 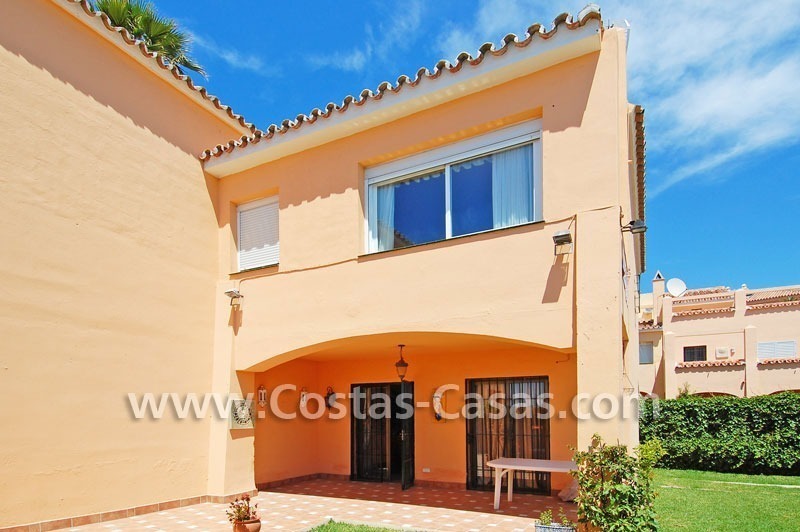 The townhouse is built on 3 levels and has a nice lay out plus a roof terrace. 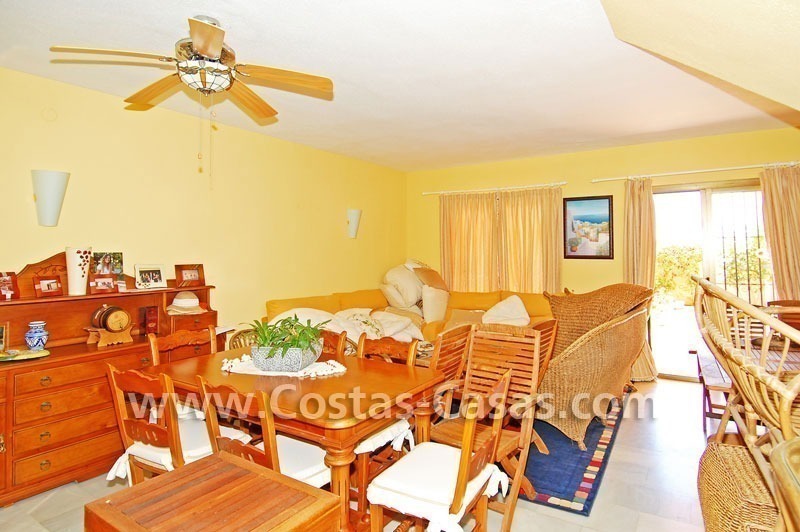 Living room and dining room with fireplace. 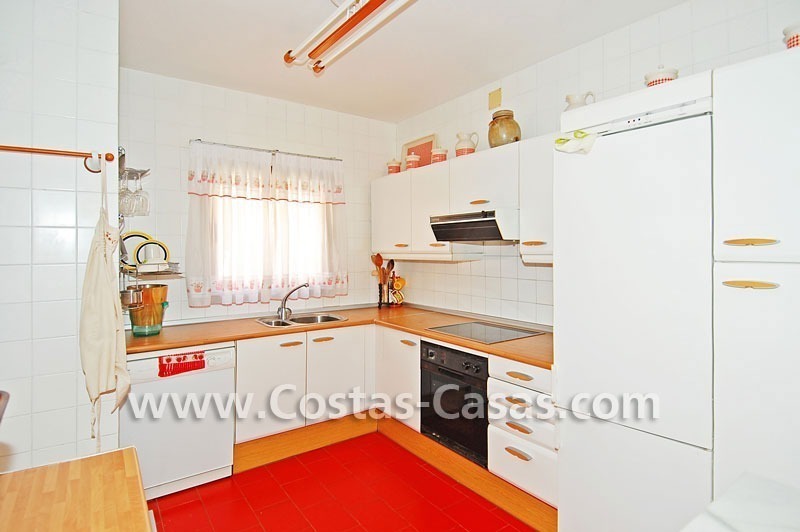 Fully fitted kitchen with all the appliances. 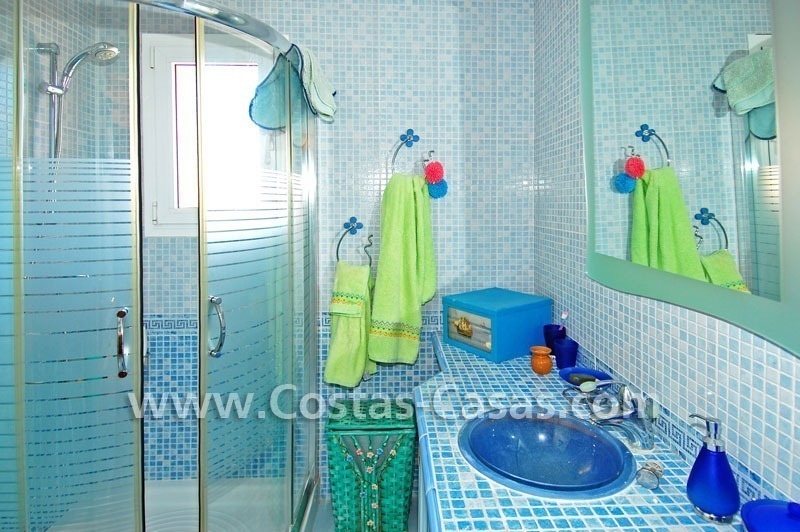 The master bedroom has a bath en-suite and lots of cupboards.